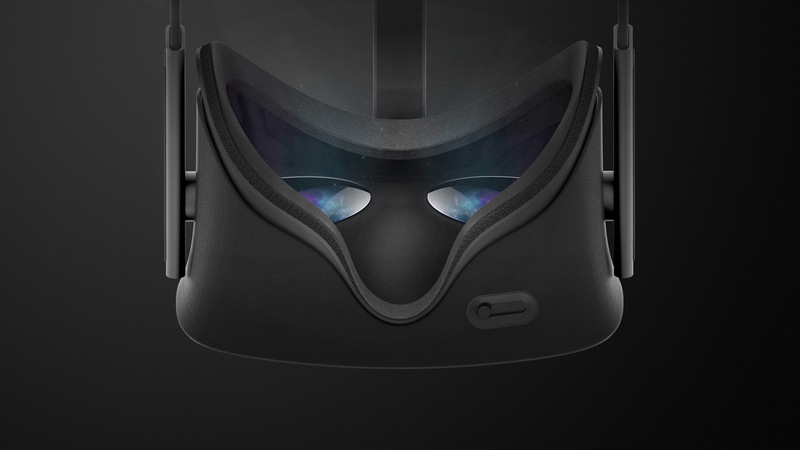 The long-awaited of high-end gaming VR – Oculus Rift’s Consumer Version 1 is now in the hands of most consumers. Apart from using this great VR Headset to play games, you may also be able to watch your own movies including regular 2D movie, a 3D movie and also a full 360-degree VR production on it with immersive video experience. But in this article, we will mainly focus on how to watch 3D Blu-ray on Oculus Rift VC-1. Before going any further, first let’s have a glance at what 3D format can be played on Oculus Rift CV1. Like other popular VR Headsets such as HTC Vive, Samsung Gear VR, the Oculus Rift CV1 can play video with 3D effect in either Side by Side format or Over Under (Top and Bottom) format. While 3D Blu-ray uses a new file format called Multiview Video Coding or MVC, which is an extension of the MPEG-4 AVC format used by standard Blu-ray Disc. To watch 3D Blu-ray on Oculus Rift VC1, you will need to rip 3D Blu-ray to Oculus Rift compatible 3D SBS or TAB format. There are many 3D Blu-ray Converter program on the market, but you may find that Pavtube BDMagic for Windows/Mac does the job better than other programs. 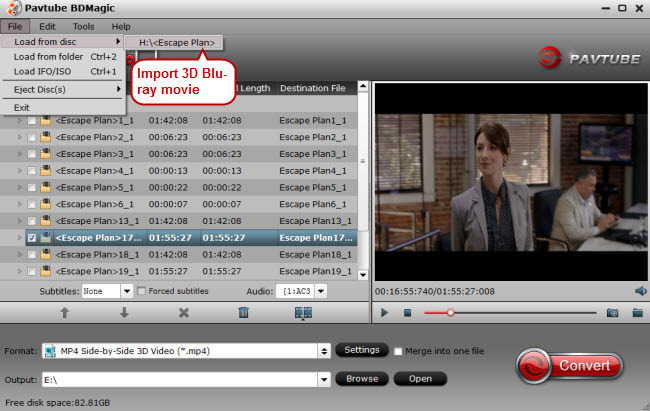 It not only allows to load 3D Blu-ray disc, but also 3D BDMV folder and 3D ISO files. The recently upgraded 4.8.6.8 version has added support for MKB62 decryption, so that you can copy all the recently released 3D Blu-ray movies for watching on Oculus Rift VC1. With the program, you can output either SBS 3D or Top and Bottom 3D with the frmat of MP4 or MKV for Oculus Rift VC1, you can also make a choice between full SBS 3D or half SBS 3D. The full SBS videos offers higher quality, but take up more hard drive space and more graphics power to play. 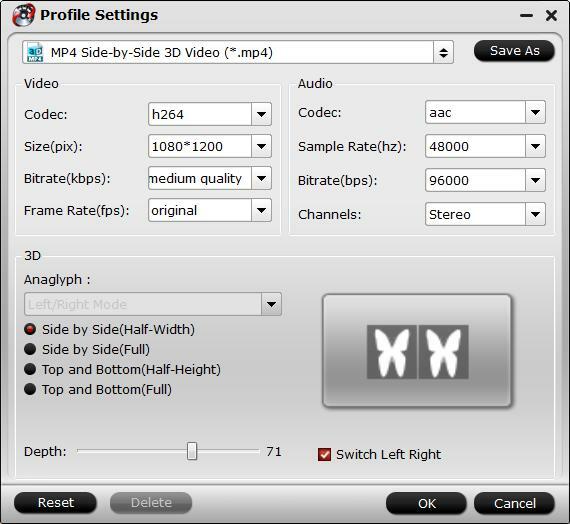 The built-in 3D profile settings function allows you to change 3D video depth to get better 3D visual effect or check “Switch Left Right Image” to change the image display order for the 3D SBS movie. Apart from Oculus Rift VC1, you may also get the opportunity to rip 3D Blu-ray for viewing on other VR Headsets like HTC Vive, Google Cardboard, Zeiss VR One, Samsung Gear VR, ANT VR, View-Master, etc. How to Rip 3D Blu-ray Movies to 3D SBS/TAB format for Oculus Rift VC1? Step 1: Load 3D Blu-ray movie. Insert Blu-ray disc into your external Blu-ray disc drive, launch Pavtube BDMagic, and import 3D Blu-ray movie into this app by clicking “Load from disc” button. Step 2: Output Oculus Rift VC1 accepted 3D SBS or TAB format. From “Format” drop-down list, select Oculus Rift VC1 compatible 3D format from “3D Video” > “MP4 Side-by-Side 3D Video(*.mp4)” or “MP4 Top-Bottom 3D Video(*.mp4)” as output format for watching on Oculus Rift VC1. 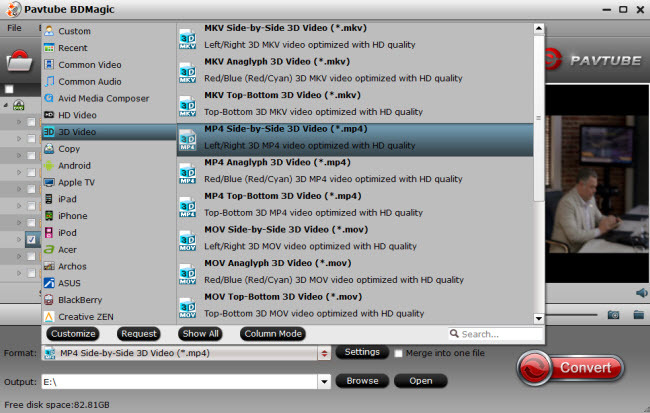 Step 4: Begin the 3D Blu-ray to 3D SBS or TAB format ripping process. Go back to the main interface and start the 3D Blu-ray to Oculus Rift VC1 supported 3D SBS MP4 conversion process by hitting right-bottom “Convert” button. When the conversion is completed, you will get a 3D SBS or TAB format that’s compatible with Oculus Rift CV1. You will then be able to watch 3D movies on Oculus Rift CV1 by buying the beta version of Whirligig from SteamVR. How to Play 3D Blu-ray Movies on HTC Vive with 3D Visual Effect?